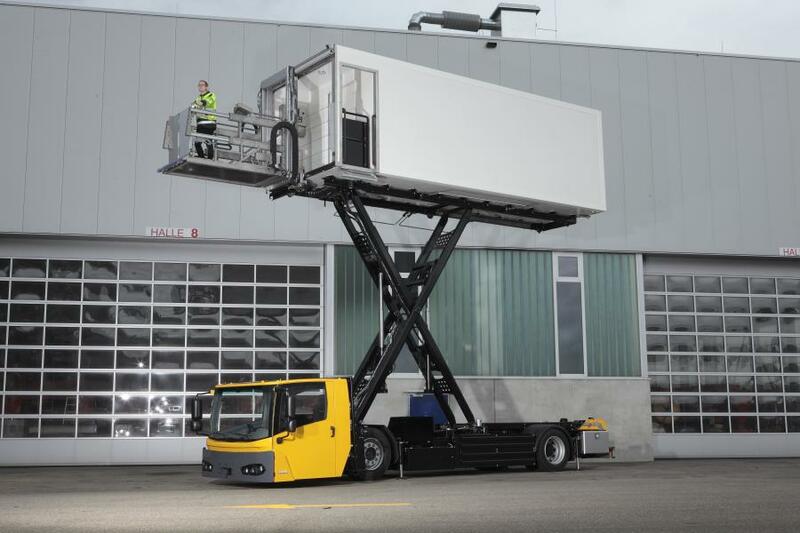 High reach: The KAMAG E-CateringWiesel, shown here at a height of 6 m, is suitable for the loading of virtually all aircraft types. The Kamag E-Catering Wiesel was developed in close cooperation with airport operators and service workshops and stands out during daily use through its reliability, emission-free operations and practical design. The driver's cab has two seats complete with optimum ergonomics and low entry height, and has been optimized to provide all-round visibility and is also equipped with a glass roof. The cabin is flexibly mounted in order to allow the transfer of containers at ground level and, if required, to provide room for the transfer platform. "The Kamag E-CateringWiesel has been consistently optimized to ensure reliability and sustainability," said Helmut Maier, responsible for airport activities at TII Sales. "The powerful emission-free engine makes the vehicle easy to handle whilst, at the same time, we recover up to 30 percent of the energy produced during braking." 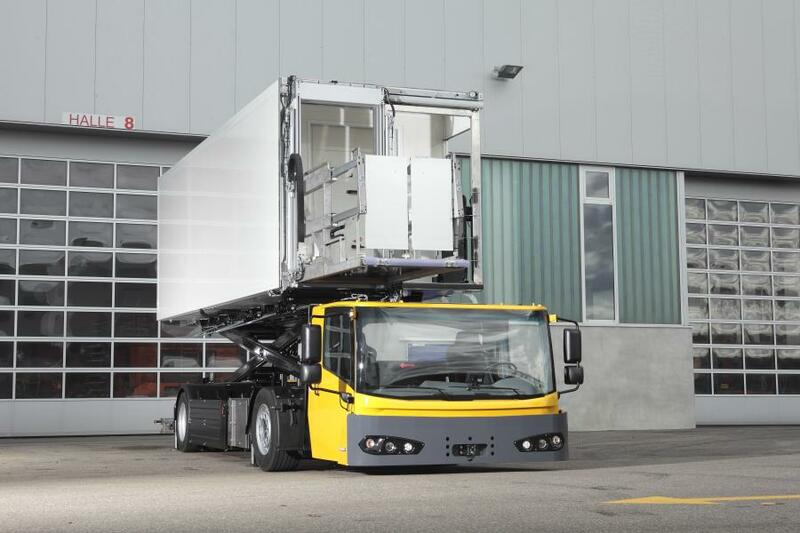 With the Kamag E-CateringWiesel, the all-air suspension not only ensures a low transfer height when in a lowered position but also ensures cargo-friendly transportation and low wear and tear of all vehicle components. In addition, the consistent modular design ensures a quick exchange of complete functional units thus minimizing any downtime. 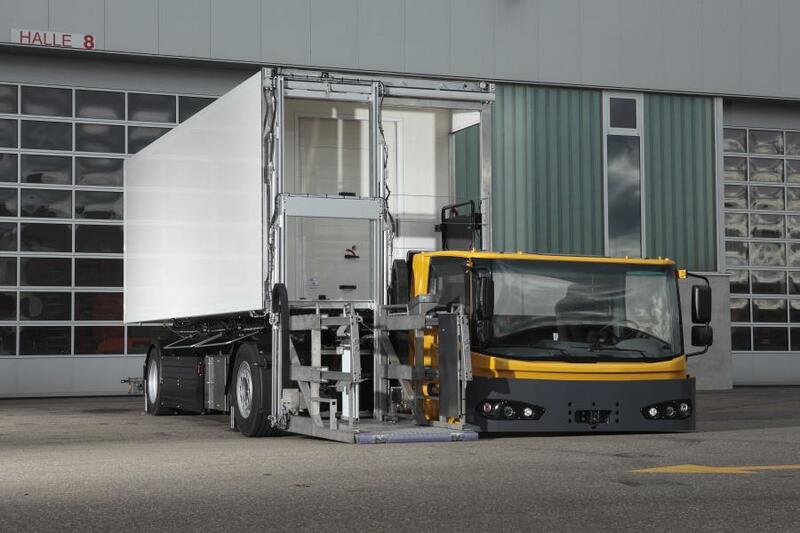 An extremely low energy loss during the transfer procedure due to the compact 1.20 m wide transfer hatchway further contributes to the sustainable service profile of the KAMAG E-CateringWiesel.